Having an event this year? 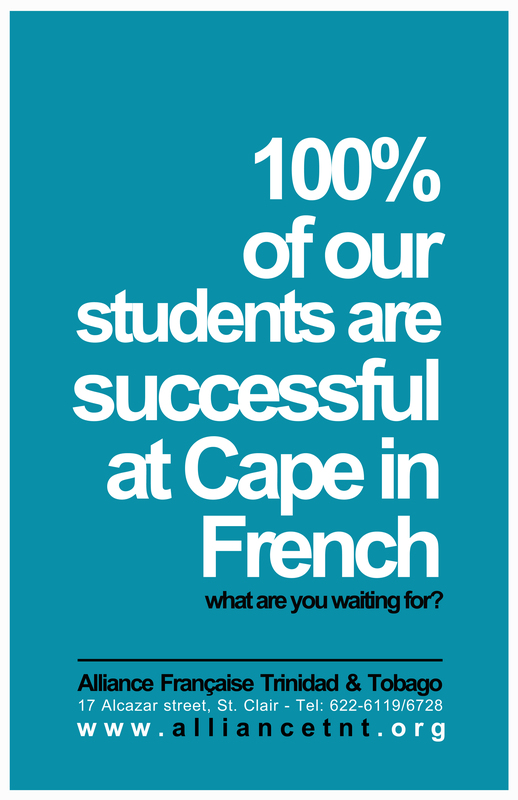 The Allliance française opens its doors and will be happy to provide you with a venue for that special event! No matter your event, we are sure to have a space to suit your needs, simply because the Alliance Francaise is so much more than a school! Artists, why not host your upcoming exhibition at the AF? Recently refurbished and re-decorated with ambiance lighting, our Lobby has hosted several exhibitions over the years. In 2014, the AF is proud to have hosted the Pablo Neruda Photography Exhibition, in collaboraton with the Embassy of Chile and 17-18 World War II Digital Exhibition. Our Gardens can also be used for Opening & Closing night Receptions. Located as you enter the AF premises on Alcazar Street, the Gardens are ideal for Concerts, Artist receptions, Movie nights, Cocktail events and many other outdoor activities. 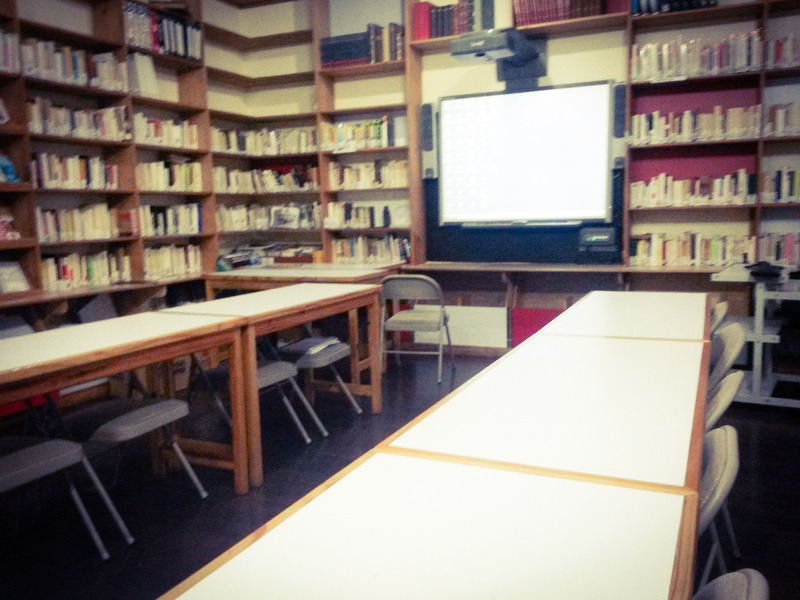 Our 5 classrooms are all fully airconditioned and equipped with audiovisual material. 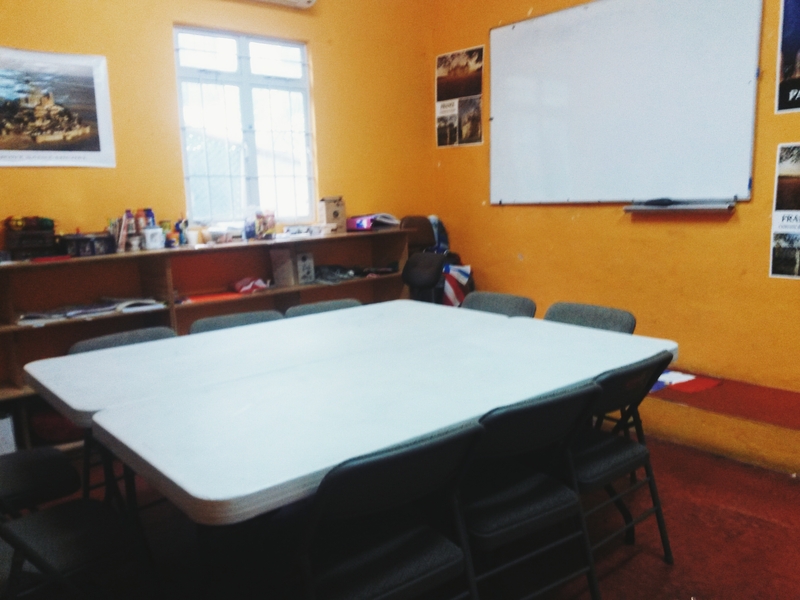 They are perfect for study groups, workshops, extra curricular classes in the Arts (Drawing, Music, Poetry). 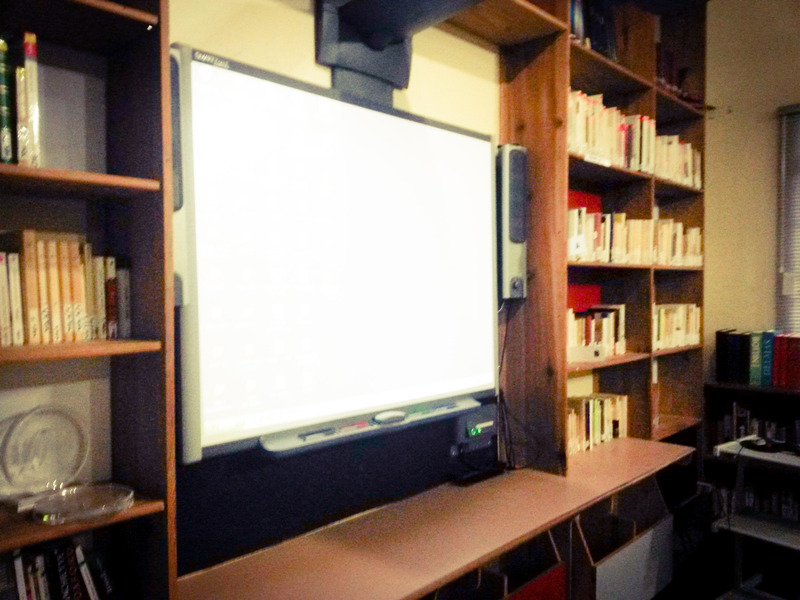 Our Resource Centre, equipped with an interactive board may also be used for small meetings, workshops or seminars.